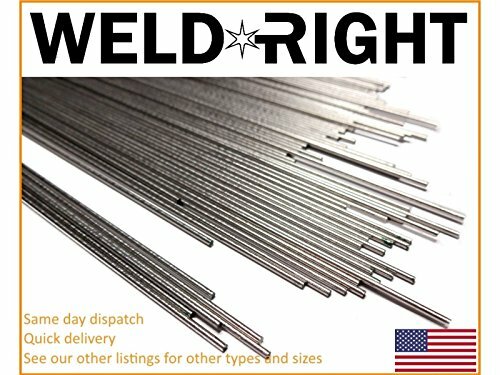 Weld Right - A USA registered and design based company offering the best quality and price possible. Please note for heavier trade orders, we can supply these in original 39 inch lengths. Please see our other listings for availability and price. We supply a full range of welding rods and can provide to the trade in bulk quantities. We strive for customer performance and product excellence offering an extensive catalogue. Please note the listing title for the quantity/weight, diameter and material type chosen. Rods will be supplied in trade packs where possible, smaller quantities will be supplied in hard cardboard packaging, not plastic trade boxes. We AIM to get orders dispatched within 24 hours Monday - Friday, after we have confirmed payment. If you have any questions about this product by Weldright, contact us by completing and submitting the form below. If you are looking for a specif part number, please include it with your message. Goss 328-EP-60-1 Regulator ( Body Only) no fittings.